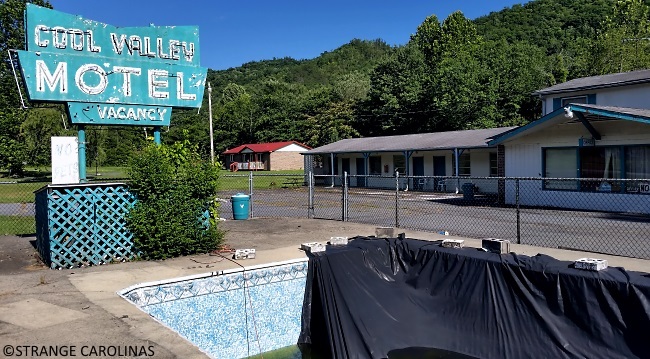 When we visited, it appeared Cherokee's Cool Valley Motel is another lost treasure that doesn't seem to be open. If you call the number, there is no answer. Visitors can wade in a foot or two of green water in the pool. 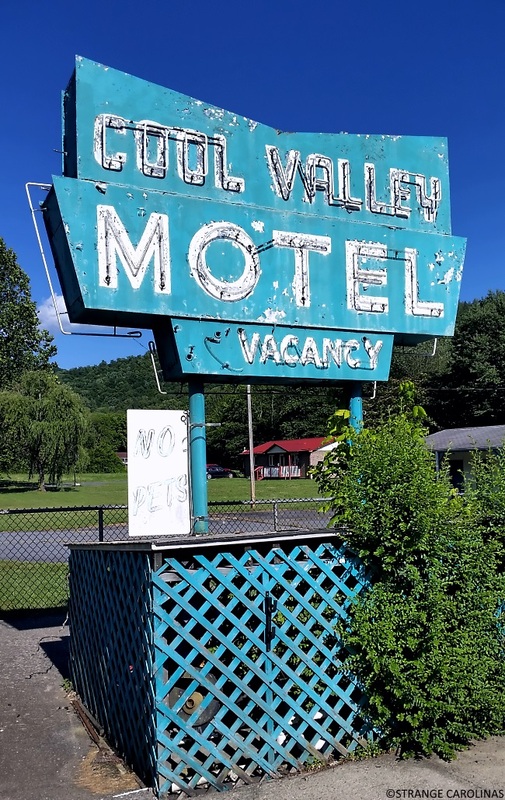 I hope one day someone will buy these properties, save the neon signs, and open up something similar to Las Vegas's Neon Museum in Cherokee.